'Creatista' 1.5L Nespresso Machine. 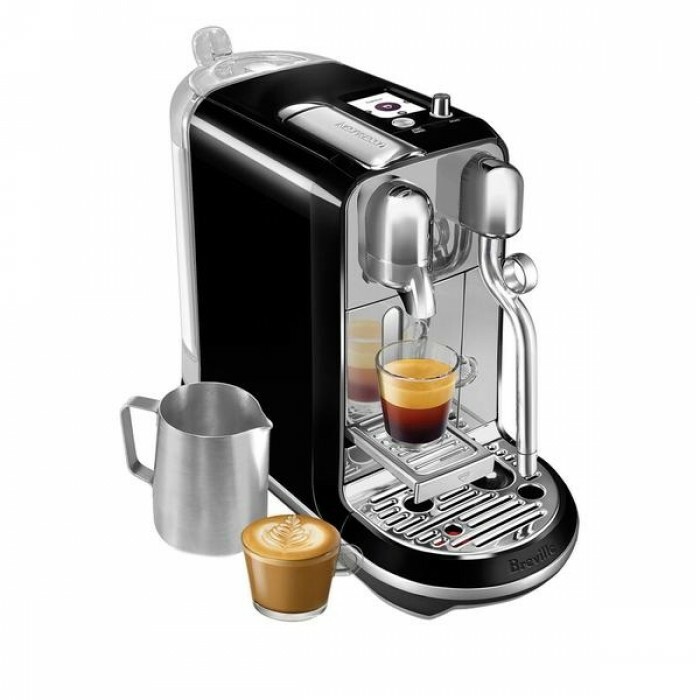 Introducing to the range the NEW Creatista Nespresso. Excellent for an office setting or any functions which require great quality coffee to impress the clients or if you value your staff and want to treat them to a barista quality made coffee. Coffee Machine : Black 1.5L capacity Dimensions : 309mm high x 170mm wide x 409mm deep. Features : Includes Bonbonniere Capsule dispenser, Stainless Steel 460ml Milk Jug and NZ Post capsule recycling bag . Also Available: 10 Pack Nespresso Capsules and 10 Pack Paper double lined cups Ideal for : Lunch rooms, kitchens, cafeterias, meetings and events.